Apple plans to open its store in Shanghai and Hong Kong this week, reaching the total number of its stores in China to six. 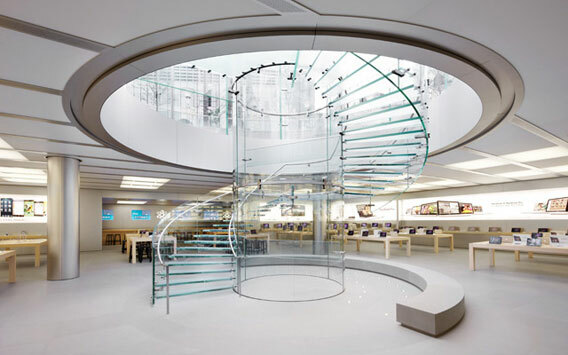 The new store of Apple will be the third one of the company in Shanghai. Request for Apple's devices in China has climbed since the company introduced its iPhone4 in the country last September. For the first three months of 2011, iPhone sales in China saw upsurge of almost 250%. Apple's iPad has also leads China's tablet market, with a 74% of market share, according to Beijing-based research firm Analysis International. Demand for the Apple devices has been so high that illegal resellers in China have produced fake Apple stores by using the company's logos to embellish their shops. Officials have already reacted by cracking down on the fake stores in one city. Apple has said formerly it would open total 25 stores in China in two years’ time. But the pace of store introductions so far has been much sluggish and focused on China's major cities. Apple's latest store in Shanghai will be the company's largest one in the country.